Science Curriculum Topic Study is rich with features that make it both easy to use and illuminating. 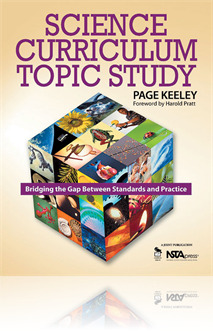 It contains 147 separate curriculum topic study guides arranged in 11 categories representing the major domains of science. You get worksheets to help you apply the CTS process to curriculum, instruction, and assessment, plus a quick-reference guide to the major standards and research documents. In addition, teacher vignettes show how to use the CTS process to enrich your own teaching immediately. What a superb book. I wish I'd had this years ago! It took all the work out of looking up standards and how to apply them to students. I can't wait to show my fellow science teachers this book.